One of the things I love about the LuLaRoe Carly is how you can knot it. I just love it! 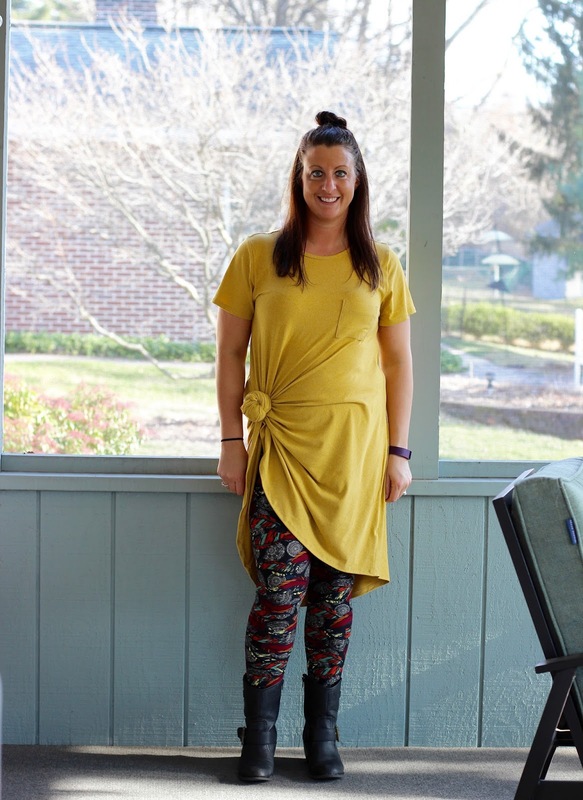 It's super easy to do and it looks great because it's a different way to wear it than just as a flowy dress. Those leggings are GORGEOUS feathers and what I like to think of as a mandala, perhaps? 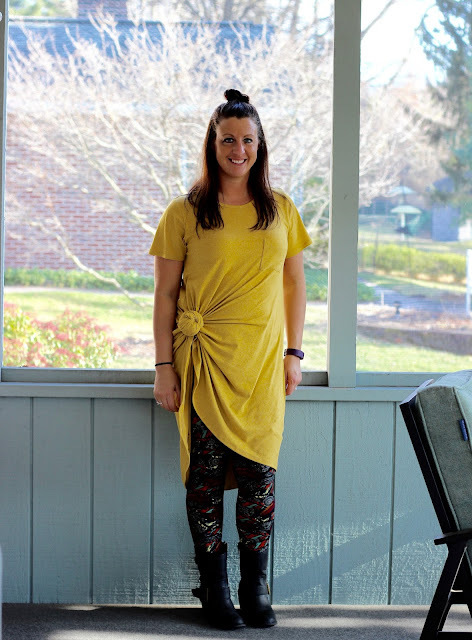 I love all the colors and they are so earthy so I knew they'd look great with mustard!